Elizabeth Ann's Recipe Box: Red, White, and Blue Cupcakes! 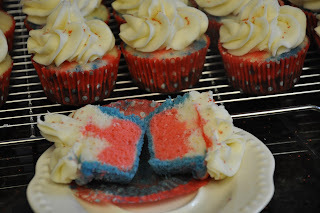 1 Red, White, and Blue Cupcakes! Thank you so much to the men, women, and families that have given such sacrifices for our freedom! Don't forget to enter the Little Branches giveaway! It closes tonight at midnight! Center a rack in the oven to 350 degrees. Fill cupcake pans with cupcake liners. Whisk together the buttermilk and egg whites in a medium bowl. Put the sugar and lemon zest in a mixer bowl or another large bowl and rub them together with your fingers until the sugar is moist and fragrant. Add the butter and, working with the paddle or whisk attachment, or with a hand mixer, beat at medium speed for a full 3 minutes, until the butter and sugar are very light. Beat in the extract, then add one third of the flour mixture, still beating on medium speed. Beat in half of the buttermilk-egg mixture, then beat in half of the remaining dry ingredients until incorporated. Add the rest of the buttermilk and eggs, beating until the batter is homogeneous, then add the last of the dry ingredients. Finally, give the batter a good 2-minute beating to ensure that it is thoroughly mixed and well aerated. 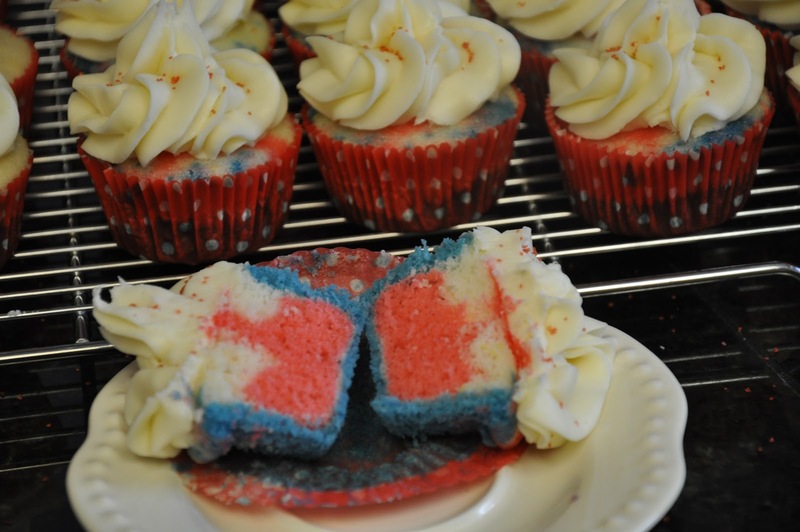 For red, white and blue cupcakes- separate the cake batter into 3 different bowls. Add blue food coloring to one bowl, the red to another, and leave the third bowl as is. 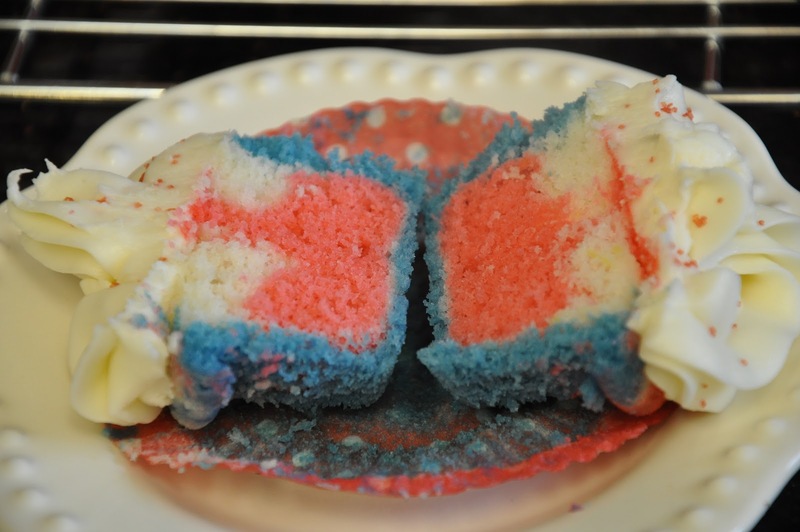 Fill each cupcake liner with a small, even layer of blue, then white, then red on top. 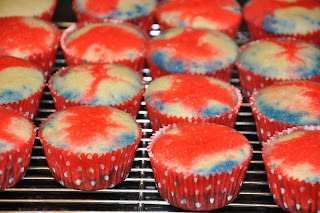 Fill each cupcake liner 1/2 full with the batter. 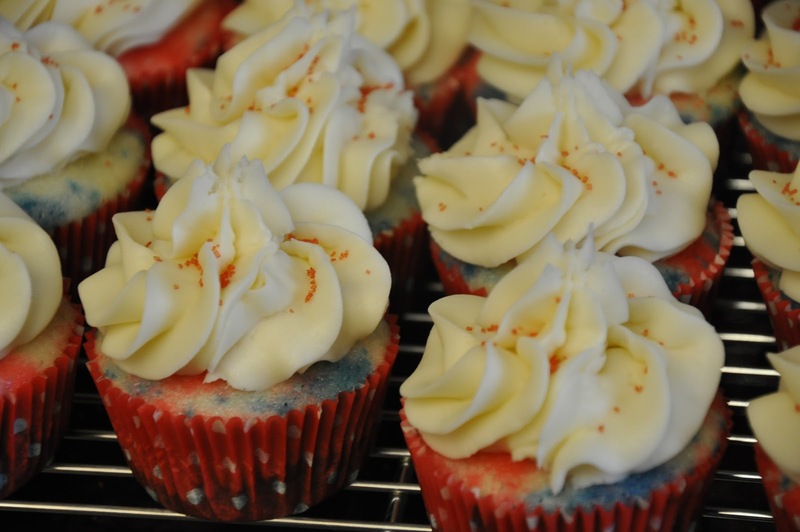 Bake for 15 to 20 minutes, or until the cupcakes are well risen and springy to the tough – a toothpick inserted into the centers should come out clean. 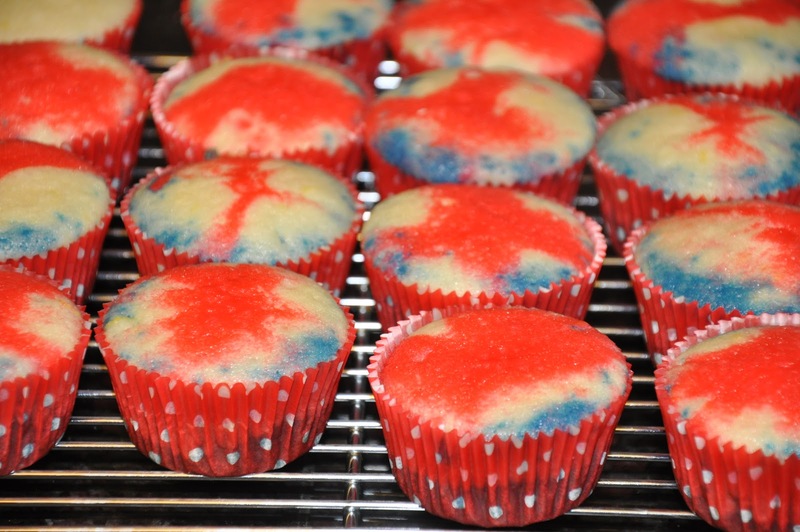 Transfer the cupcakes to cooling racks and cool completely before frosting them. Place the butter in a large mixing bowl. Add 3 cups of the sugar and then the milk and vanilla. 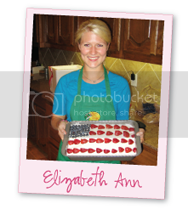 On the medium speed of an electric mixer, beat until smooth and creamy, about 3-5 minutes. Gradually add the remaining sugar (that you need), 1 cup at a time, beating well after each addition (about 2 minutes), until the icing is thick enough to be of good spreading or piping consistency. You may not need to add all of the sugar. Use and store the icing at room temperature because icing will set if chilled. Wow ! These are SO fun ! Thanks for sharing I love colourful sponge. It's like a hidden treasure!